What is a sideboard you ask? A sideboard consists of 15 cards in addition to your 60 card deck. Since a match consists of a 2 out of 3, you can swap these cards in after the first and second rounds of a match. Step 1) Think about your meta. Your meta includes all the decks and most common cards you normally go up against or plan to face. For example: Is reanimator a normal deck type you play against? 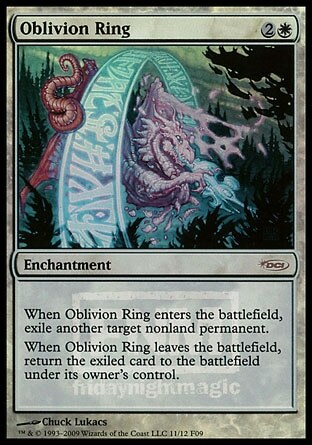 Is Tarmagoyf ruining your day? Then add Relic of Progenitus, Wheel of Sun and Moon, Jötun Grunt, or Leyline of the Void. Figure out the biggest threats or most common threats to your deck and pick cards that punish or destroy those decks. Step 2) Think about your weaknesses. What are the biggest holes in your defense? If you're not sure what those might be then playtesting against different decktypes is important. Test against major archetypes, every deck that your friends' own, and proxy versions of tournament decks. This will be answered in time. Example: Do combo decks just steamroll you? Then add cards like Rule of Law, Runed Halo, Duress, Memoricide, Counterspells, etc. Step 3) Don’t just think about your colors. Remember that you can put artifacts in your sideboard as well. There are plenty of artifacts like Pithing Needle that are generally useful and can be included in most sideboards. Some artifacts bend the rules of what should be allowed in certain colors. For example: the color Red isn't able to destroy enchantments but it is fully capable of destroying artifacts. Adding Liquimetal Coating in your sideboard as well as Artifact destruction allows you to destroy any permanent type and suddenly Enchantments and Planeswalkers aren't that big of a deal anymore. Step 4) Not sure about your meta? Not sure about your weaknesses either? It might be best to add situational cards. 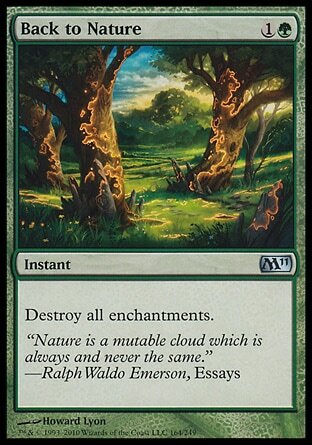 Green and White for example are exceptional at destroying Artifacts and Enchantments. Even though those two card types don’t come up in every match, having the option to take them out is incredibly useful and it helps that these cards will be in your sideboard rather than taking up space in your maindeck. Sometimes it’s a good idea to keep incredibly situational cards in your sideboard as well. For example: Shadow of Doubt or Aven Mindcensor. Many decks never need to search but some decks rely on it. You could be preventing fetchlands, Cultivates, Tutors, Trinket Mages, Quest for the Holy Relic, Dragonstorm, etc. Step 5) Another thought is to have a transformational sideboard. A transformational sideboard is exactly what it sounds like. The 15 cards can be swapped in to change the current deck into an almost entirely different deck. Transforming your aggro deck into a combo deck in the next round can really throw your opponent off. This is Kylak signing out and leaving you with this: Never underestimate a well thought out sideboard.